Mobile devices represent vital technology for today’s businesses, but these essential machines also carry significant security risk. A recent report suggests that almost 80 percent of businesses have experienced a problem related to mobile security. Unfortunately, those problems also had the potential to cost many thousands of dollars. The survey suggested that over 40 percent of those incidents resulted in over 100,000 worth of losses. One of the primary reasons why mobile devices represent such a threat to business security is the connection those devices make to the company’s network. A mobile phone isn’t just a device used for telephone calls. Employees may accomplish a number of tasks with their phone related to document creation, accessing company files, and communicating with the company’s intranet. Each of these tasks may represent a security risk for unprotected devices. Companies that wish to reduce the risk associated with the use of mobile devices in the workplace may want to consider XenMobile by Citrix. This system allows the information technology group in a company to manage all of the mobile devices that access the network and create system-wide policies and permissions for mobile access. There are very few businesses that can operate without a traditional security system, and any company with a physical location must ensure the safety of employees and property. The FBI counted nearly 9 million property crimes across the nation in 2012 alone, with many of those offenses perpetrated against businesses. 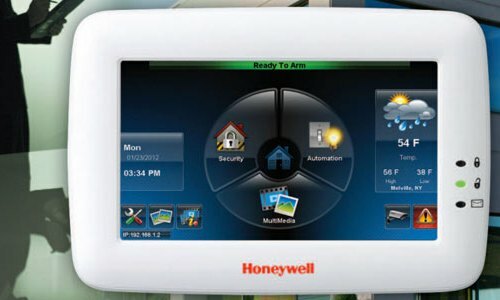 A system like the Honeywell Enterprise Buildings Integrator allows security personnel to control every facet of physical security from a single location. The system provides a wealth of information through a single interface, which means that quick response to incidents or problems is much easier than a security program with separate systems, such as a keycard entry system that isn’t connected to the CCTV system. One of the best features of Honeywell’s system is that it’s appropriate for any size building with the availability of scalable licensing. Small companies with modest budgets need not be concerned that a fully functional and integrated system is out of reach. The computer devices purchased by a business represent a significant investment of capital. Most businesses today rely upon advanced machinery like computers, and the theft of expensive machines may cause loss of productivity and valuable proprietary data. A company must remain vigilant against theft from outside intruders and internal threats, and locking devices for company devices like audio/video equipment and computers is essential. Unfortunately, employee theft represents a serious threat to businesses today, and some statistics suggest that employees who steal from their employers cost businesses around 50 billion dollars every single year. Incredibly, this figure is about 20 billion dollars more than is reported for shoplifting each year. The potential for theft from within requires companies to consider anti-theft devices for all business devices. Business Machine Security offers the best variety of anti-theft devices that may be placed around vital technology like desktop computers, video projectors, and televisions. Expensive devices are a tremendous temptation for employees who might be inclined to steal from the company. All company devices should be installed with items like cable locks, cages, and secure mounts. Just as security cameras assist law enforcement in keeping streets safe, CCTV systems help prevent crime and improve security for businesses. One of dual benefits of security cameras is the passive effect that cameras have on thieves or burglars. Upon seeing a security camera hanging from the ceiling, a thief might think twice about breaking into a business. Additionally, a camera system offers significant protections for the employees of a company from a variety of threats. Not only do security cameras record incidents or crimes that might happen due to outside forces, but these video systems also help clarify problems occurring in the workplace like fights, vandalism, or theft. Although Samsung is well known for its televisions and mobile phones, the company also features highly advanced cameras for use in business. A security camera must offer clear image quality in low-light situations because theft often happens at night when the business is dark and empty. Samsung’s cameras come in a variety of shapes and are incredibly powerful in all light conditions. Many businesses are wholly reliant upon the digital files created by employees, and protecting this vulnerable area of a company is difficult due to the presence of so many types of threats. Simple computer viruses aren’t the only issues impacting companies today. Businesses must also consider web-based threats and insecure third-party devices, in addition to many other points of entry. Data from IBM shows that businesses lose an average of $300,000 each time a cyber attack is successful, and this means all companies must take security threats seriously. Additional studies suggest that the average company is attacked by hackers millions of times every single week, and the number of threats is epidemic. Security device company Cisco offers the best possible network security through specialized devices meant to keep business data safe from digital intruders. The company provides security solutions for all aspects of digital computer security from a company’s VPN to the servers on which vital company data is stored. Today’s businesses must fend off attackers from so many areas, and the job of keeping everyone and everything safe is definitely a fulltime job. An insecure business not only risks profit loss but also puts its employees in jeopardy. Ensure complete business security by installing security measures that create a complete web of protection.